Click on the ladder that matches the color of the player to move up and score points. Be careful, the ladders switch positions and the player changes color! 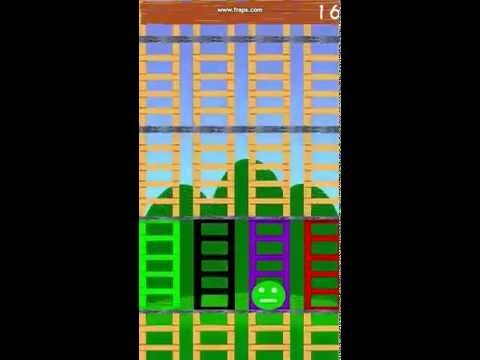 The speed at which the ladders fall gets progressively faster, and if the player falls below the screen its game over! How long can you stay above?! The more you play the more points you will earn, unlocking new playable characters. We also keep track of your total games played to bring your your average score per game! Compete against others on the online leader board to prove you're the best around!